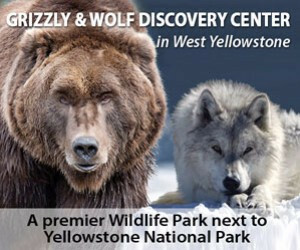 The Grizzly and Wolf Discovery Center is a fantastic wildlife center that features wolf, grizzly, and raptor enclosures. The center offers a full schedule of events throughout the day including feedings, movies, and educational programs. 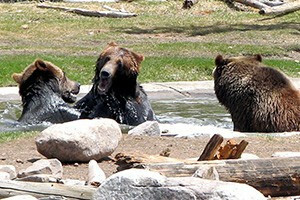 Video & photograph live bears & wolves at this not-for-profit wildlife park & educational facility. Get a fascinating view into their worlds. Animals visible year-round. Just 7 minutes from Yellowstone's west entrance, enjoy hour-long trail rides for just $40. Kids can enjoy arena rides. Can combine with RODEO pass too. Learn all about grizzlies and wolves at the Grizzly and Wolf Discovery Center. Located in West Yellowstone, Montana, next to Yellowstone National Park. Visitors can spend their time watching these amazing animals interact in their outdoor habitats. Enjoy a variety of different programs and activities for the whole family. 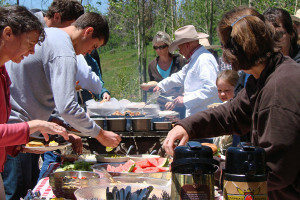 The Center offers every visitor to Yellowstone a chance to uniquely experience the world of grizzly bears and gray wolves. 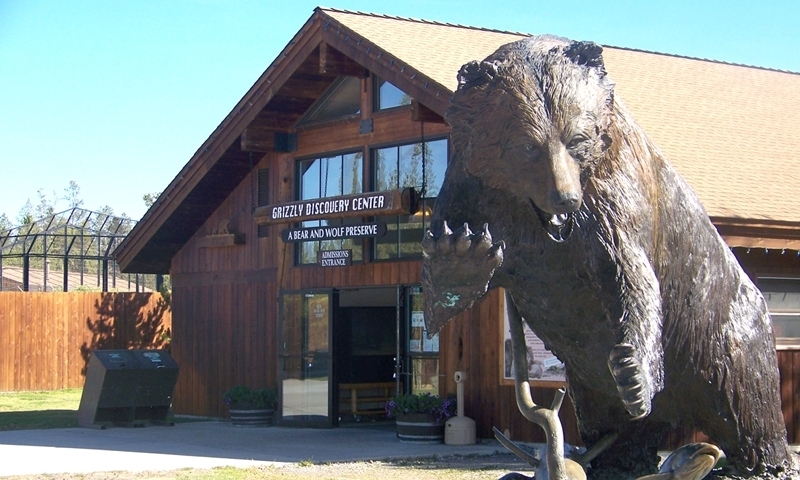 The Grizzly and Wolf Discovery Center is located at 201 South Canyon Street in West Yellowstone, Montana. The Center is open all year. The hours change with the season so you should call first for current schedules at 1-800-257-2570. See LIVE grizzlies and wolves and get a fascinating glimpse into their worlds at this AZA Accredited, not-for-profit wildlife park and educational facility. Watch the bears forage for food, play in their ponds and with each other. Early morning and evening visitors may witness active wolf packs howling. Activities include: Keeper Kid’s (kids help hide food for the bears), Wolf Enrichment, live Bird-of-Prey demonstrations and exhibits, Safety in Bear Country Programs, Yellowstone Park Ranger talks, intriguing films and staff presentations. Explore Bears: Imagination & Reality, an interactive world-class exhibit. Visit the Naturalist Cabin to see exceptional views of two separate wolf packs through floor-to-ceiling windows and take a part in daily “Pack Chats”. All the animals at the Center are unable to survive in the wild for different reasons and each have their own unique stories as to why. The Grizzly & Wolf Discovery Center is a bear and wolf wildlife park located in West Yellowstone. Wonderful historic and prehistoric mountain exhibits and education.